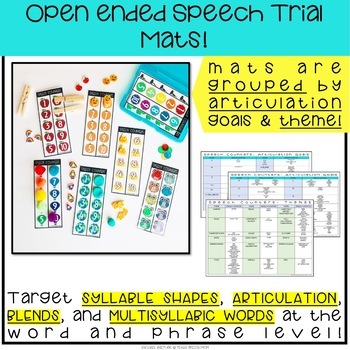 There are 60 sorting mats included in this resource! 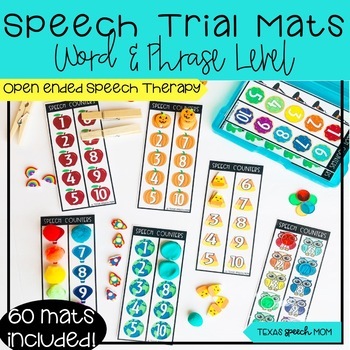 These mats are intended to be used as a companion for any of your sessions. All mats are sized to fit in a small 6x4 photo box for easy storage. 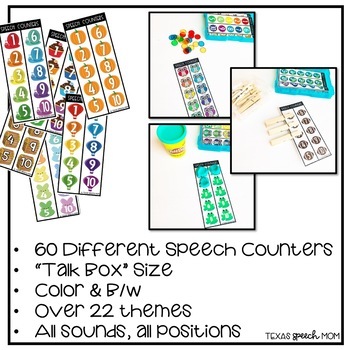 This is a fun way to target articulation, syllable shapes, blends, final consonants, and multisyllabic words while using mini erasers, pom noms, play doh or clothespins! 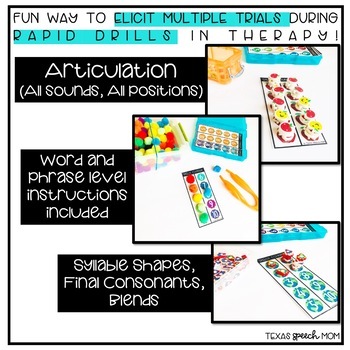 There are instructions included on how to elicit at least 100 trials at the word level and simple phrases. All mats come in color and black and white.